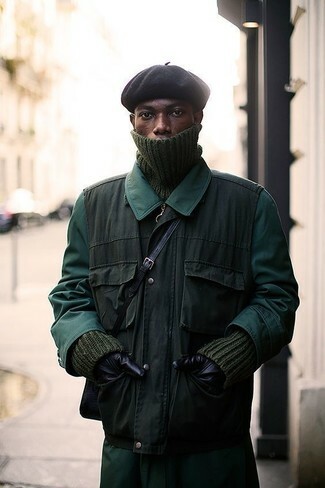 If you're all about practicality dressing when it comes to fashion, you'll love this on-trend pairing of a dark green raincoat and a black beanie. 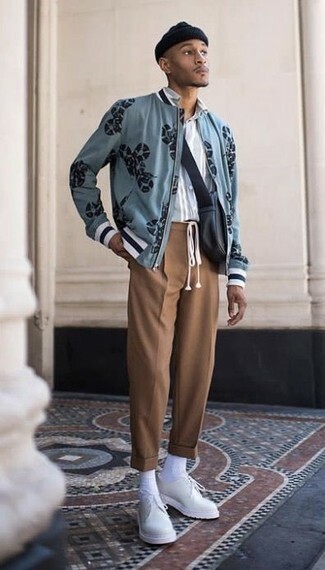 Dress in a light blue print bomber jacket and a DSQUARED2 icon slogan beanie hat from farfetch.com for a laid-back yet fashion-forward outfit. Bump up the cool of your ensemble by finishing off with white leather derby shoes. Go for a burgundy check wool blazer and a black beanie if you're hunting for an outfit idea for when you want to look casually cool. Elevate your ensemble with brown leather brogues. 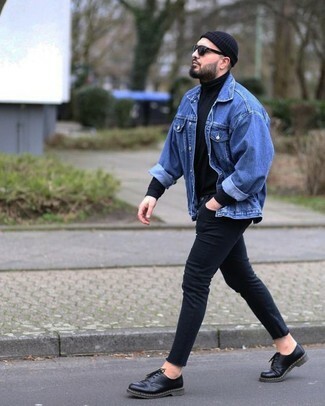 If you're all about comfort dressing when it comes to fashion, you'll love this easy pairing of a blue denim jacket and a DSQUARED2 icon slogan beanie hat. Elevate your getup with black leather derby shoes. If you're all about relaxed dressing when it comes to your personal style, you'll love this stylish combination of a grey herringbone overcoat and a DSQUARED2 icon slogan beanie hat. You could perhaps get a little creative in the shoe department and dress up your outfit with black leather casual boots. 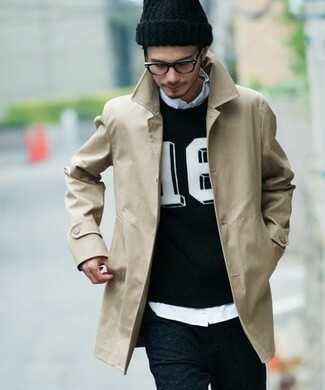 We all want comfort when it comes to dressing up, and this combination of a beige trenchcoat and a DSQUARED2 icon slogan beanie hat from farfetch.com is a vivid example of that. 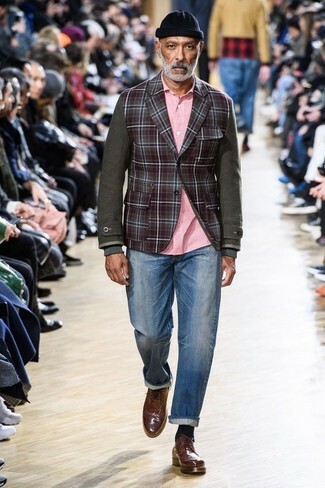 If you're scouting for a casual yet dapper outfit, rock a tan double breasted blazer with a DSQUARED2 icon slogan beanie hat. Both pieces are totally comfortable and will look great paired together. 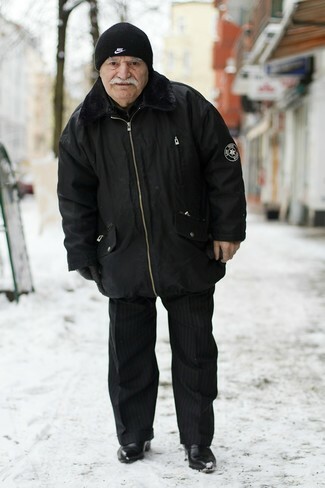 Wear a black parka and a DSQUARED2 icon slogan beanie hat from farfetch.com, if you feel like comfort dressing without looking like a hobo. And if you want to instantly up the style ante of your look with one piece, enter black leather chelsea boots into the equation. 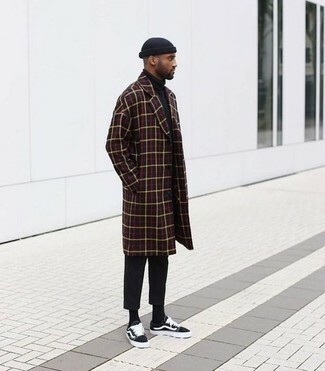 Dress in a burgundy check overcoat and a DSQUARED2 icon slogan beanie hat from farfetch.com to be both neat and relaxed. Bring a touch of sophistication to your outfit with black canvas low top sneakers.